Plums have been cultivated for thousands of years and may have been one of the first fruits domesticated by humans. Alexander the Great has been given credit for introducing them into Greece and Pliny the Elder, a Roman scholar, noted this fruit in his first century writings. It is easy to see why plums are a time-honored favorite fruit. They are tasty, beautiful in bloom, and not very difficult to grow, which make plums a great addition to the edible landscape. Plums are also quite nutritious, containing cancer-fighting antioxidants, many vitamins and minerals, and fiber at approximately 40 calories each. The estimated United States production of plums in 2015 was over 1 billion pounds and the per capita consumption range of 0.9 to 1.9 pounds of plums has remained constant since 1970. There are more than 100 species of plums with about 30 of them indigenous to North America. Early Native Americans used them raw, cooked and dried. Two common species that might be encountered in Connecticut are the wild red plum, Prunus americana, and the beach plum, P. maritima. Enough beach plums grew on Cape Cod, Massachusetts to have once made gathering the fruits for preserves a viable commercial venture. While either of these two species would be suitable for a native plant garden, they may not top the list of those preferred for backyard fruit production. For this purpose, choose from European or Japanese plums. European plums (P. domestica) would be the top choice for the colder regions of Connecticut. Fruits are mainly small, oval and mostly purple but sometimes green or yellow. Green Gage or Damson plums are of European descent although Damson plums are a different European species (P. institia) and rather tart so mostly used for cooking or preserves. Other species of European plums are sweet enough to be dried for prunes but are also great for canning and making preserves. A number of them make quite good fresh eating as well. European plum trees tend to be more upright than Japanese varieties and bloom slightly later which is a desirable characteristic for our unpredictable New England weather. Blossoms are less likely to be injured by an unseasonably late frost. Also, many European varieties are self-fertile so only one plum tree needs to be planted. Japanese plums (P. salicina and hybrids) are commonly found on your grocer’s shelves. They are more rounded, almost heart-shaped, firmer, and come in shades of red, yellow and purple. Despite their name, Japanese plums are originally from China. Luther Burbank is credited for his extensive breeding work with Japanese plums. Many of today’s commercial cultivars had been developed by him. Among his better-known cultivars are ‘Santa Rosa’, ‘Burbank’ and ‘Red Ace’. Nursery catalogs have a number of Japanese plum varieties rated as being hardy to USDA zone 5. Some literature suggests that Japanese plums may not have as much cold tolerance as European plums and bloom quite early so there is a greater risk to frost damage to the blossoms. It would probably be best not to plant Japanese varieties in a sheltered area where more mild conditions might hasten flowering only to be vulnerable to late frosts. Many Japanese plum species, however, would grow just fine along warmer coastal or southern regions of Connecticut. Typically, plums trees are sold as standards which grow 16 to 20 feet high, or semi-dwarfs, reaching only about 14 feet. There does not seem to be a satisfactory dwarfing rootstock readily available yet although a few nurseries have dwarf plum trees for sale. Semi-dwarfs can be planted about 10 feet apart with usually a 20-foot spacing given for standard size trees. Plants are generally sold between 3 and 6 feet tall with stems ranging from one half to an inch or so in diameter. Mail order trees are shipped dormant in early spring or sometimes in the fall. Containerized stock can be planted throughout the growing season although extra attention should be given to their watering needs if planted during the hot summer months. Many Japanese plums require a second cultivar for cross pollination to occur. This means that two different varieties of Japanese plums with overlapping bloom times are needed within a hundred yards or so of each other. If you have room for only one tree either select a cultivar that does not require cross pollination or enlist a neighbor to plant a mate. Some tree fruit nurseries sell two varieties (or more) grafted onto one rootstock so this would cover the pollination requirements plus produce two different kinds of sweet, juicy plums. Regardless of whether a European or Japanese plum is selected, they are both grafted onto the rootstock of a related species. According to the University of Georgia, two main rootstocks are used in the United States. The Myrobalan 29C (a cherry plum) produces standard trees with slightly delayed ripening and no disease resistance. For smaller trees with slightly earlier ripening and some pest resistance, Marianna 2624, which is a cross between Myrobalan and a native American plum, is used. The graft union will be visible when you purchase your tree. It generally looks like a kink in the trunk. Plant the tree with this graft section above ground. Like most food-bearing plants, plums need full sun and a well-drained, moderately fertile soil with a pH ranging from 5.5 to 6.5. Once the site requirements are met, annual maintenance includes pruning, fertilizing, sometimes thinning of fruits, and pest control. Consider having the soil tested before planting and incorporating any suggested amendments to a depth of 6 to 10 inches. Without a soil test, young plum trees would receive one-half cup of 10-10-10 or the equivalent in mid-April and again in late May to early June. Older trees receive fertilizer amounts dependent on the spread of their canopy and the fertilizer is generally applied once each year in mid-April. Approximately 12 to 18 inches of new growth should be produced each year. If greater growth occurs, reduce the amount of fertilizer applied. Plums are generally pruned into an open center form although the more upright European varieties can also be trained using the modified leader technique. Light pruning is performed for several years after planting to thin out interior branches and water sprouts, and head back the main scaffold limbs to encourage branching. Once the tree has reached its mature size, any vigorous upright shoots are cut off as fruiting occurs primarily on spurs on older wood. Pruning is not a difficult activity and a good guide would be to look through some pruning books or websites for illustrations of these pruning techniques. Healthy trees produce an overabundance of fruits and for larger, better developed plums they should be thinned to allow 3 to 4 inches between fruit. Standard size plum trees usually start to bear 3 to 5 years after planting while semi-dwarfs may produce fruit sooner. Some plums change color when fully ripe while for others a softening of the flesh occurs without a distinctive color change. Check fruit often as they mature for ripeness. Fruit will last longer if refrigerated after picking. Not only will backyard plum trees give you lots of tasty, nutritious fruit but they also are quite attractive in bloom. With edible landscaping becoming more popular, many local nurseries should have both small and tree fruit plants available. Join the growing groceries movement and plant a fruit tree or two in your yard. The two most prevalent diseases in Connecticut are brown rot and black knot. Both are fungal diseases and as such, their incidence and severity are dependent to some extent on weather conditions during the growing season. Warm, wet and cloudy conditions favor greater disease development. Either natural (sulfur) or chemical fungicide sprays would be applied several times throughout the growing season based on the stage of plant growth and the weather conditions. Good sanitation is also very important for controlling diseases as well as many insect problems. Dropped fruit and leaves should all be raked up and disposed of off the property if any pest problems are noticed. Plum curculios are small beetles with elongated snouts. They make crescent shaped holes in the fruit in which they lay their eggs. The larvae feed on the fruit causing it to drop prematurely. Plum curculios are controlled using several applications of various natural or synthetic insecticides. Contact the UConn Home & Garden Education Center for tree fruit pesticide information and application tips. One inch fruit in red, orange and yellow. Grows 15 – 20 ft. White flowers. Oval, blue plums used for preserves. Productive. 10 to 14 feet high and wide. Use fresh or for cooking. Developed by Luther Burbank in 1929. Dark red flesh, flavorful, freestone. Fresh or for canning. Ripens in September. Cross of Japanese and American plums. firm, sweet and juicy. Freestone. with a red blush. Heat tolerant. Disease resistant. Bright red fruit with a tough skin. Yellow flesh, slightly tart. Clingstone. Shiro, Burbank or Red Ace. Developed by Luther Burbank, introduced in 1906. Vigorous tree to 12 feet. Mid-season. Japanese plum variety for pollination. average skill to grow. Upright growth habit. Needs another Japanese plum for pollination. Good for fresh eating, preserving or cooking. Grows 12 to 15 feet high. Easy to grow, vigorous and productive. and Satsuma. Spreading growth habit. Plan on thinning the fruit. University of Minnesota where it was introduced. it blooms over a long period of time. with tough yellow skin sporting a reddish blush. Another hybrid with large, dark red, dessert plums. Sweet yellow flesh. Clingstone. One grower says some resistance to brown rot. Introduced by U. Minn. In 1933. Vigorous tree. Precocious producer. Reddish bronze fruit on 10 to 14 foot trees. used for fresh eating or canning. Upright plants with fruit ripening mid-season. orange fleshed, slightly tart juicy fruit. Open, spreading growth habit. Blooms early. Large, dark blue fruit. Ripens late in season. Productive. 10 to 14 feet high and wide. Pollinator recommended. President x Emily cross. Use fresh or for cooking. A German type prune plum. Self-fertile. Ripens in early to mid-September. 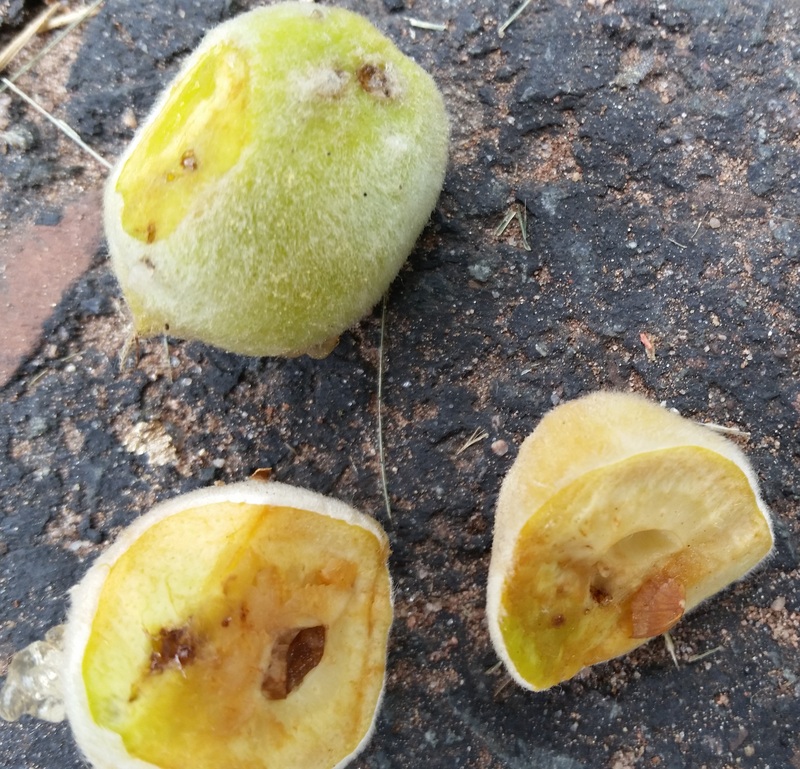 Purple skinned, yellow fleshed fruit. Very productive with a spreading growth habit. Used for fresh, canning and preserves. Greenish yellow fruit. Ripens in August. Freestone. Good for cooking and fresh eating. Self-fertile. Good pollinator. Old European plum known by many names. Brought to France by Queen Claude and called the ‘Reine Claude’. Later plum trees imported by an English family and as they had no name tags the gardener named it ‘Green Gage’ after the owners. Several sports including the Golden Transparent Gage and the Reine Red. Dark purple skin with sweet yellow flash. Somewhat self-fertile, freestone, upright growth habit. Bears young. Good pollinator. 10 to 14 feet. Ripens mid-season. Says aka Fellenberg and was replaced in East by hardier Stanley. Good for dessert, drying, canning and cooking. Large, purple, oval fruit for fresh eating. Upright-spreading tree of medium vigor. Productive and self-fertile. Large, blue prune plum. Vigorous. Productive. Freestone. Ripens late in season. Resistant to black knot and bacterial spot. 10 – 14 feet. Use fresh, canned or in preserves. Pollinator recommended. Vigorous, upright tree. Large, sweet, reddish purple plums. Fresh or dried. Resistant to cracking and brown rot. Self-unfruitful. Vigorous, upright tree. Developed in 1937 at the New York State Agricultural Experiment Station, Geneva and named after a local Native American tribe. Dark blue skin and greenish-yellow flesh. Heavy bearing. Bears young. Fresh, preserved or dried. Self-fertile. Susceptible to black knot. Bred at the New York State Experiment Station. Oval, blue plums used mainly for preserves. Late blooming. Dependable. Self-fertile. Dawn Pettinelli, UConn Home and Garden Education Center, Revised 2016.